Authorization for the nation’s most successful conservation and recreation program, the Land and Water Conservation Fund (LWCF), expired September 30. 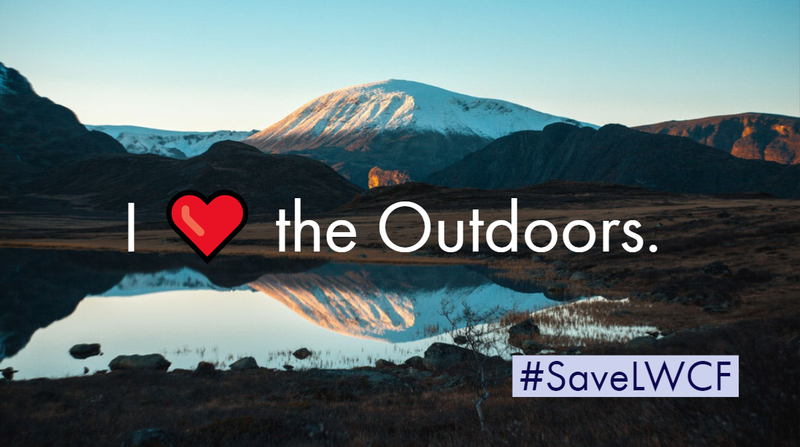 Failure by Congress to save this essential program will put the outdoor places we love and America’s recreational economy at extreme risk. The LCWF is a bipartisan program that protects and preserves our national parks, national forests, wildlife refuges, monuments, and more than 40,000 state and local parks throughout the country. For more than five decades, LWCF has funded tens of thousands of conservation and public access sites, from national parks to local ballfields. Americans from across the country have benefited from the fund, while enjoying public pools and access to some of America’s most iconic landscapes, all while supporting a booming outdoor recreation economy. By allowing the Land and Water Conservation Fund without funding or reauthorizing the program, Congress has thrown away the opportunity for a major bipartisan victory and threatened our families’ access to our nation’s world-class public lands and waters. President Trump and Secretary Zinke promised to reauthorize LWCF, and bipartisan majorities in Congress support permanent reauthorization, and full and dedicated funding. Instead of doing right by this wildly popular conservation program, President Trump and Secretary Zinke broke their promise and proposed zeroing out funding for LWCF, and Congress let it expire without taking action. Millions of Americans have benefited daily from LWCF for over five decades, and millions of Americans will now hold their leaders accountable for allowing it to expire.